Home A Bead Muse Muses Beading Be Darned! My beading be darned blog post, was born out of both panic, and necessity! Wait! 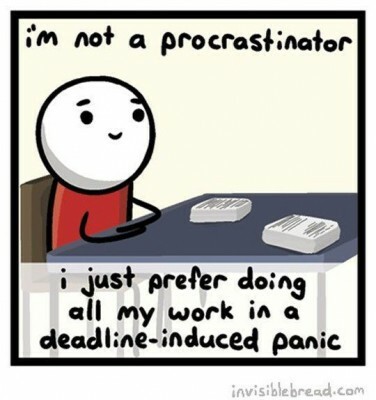 It’s Tuesday, I need a blog post for tomorrow, but I don’t know what I want to talk about!!! While driving home from BeadFX, my muse popped the words, “beading be darned” (okay, she used another word, but I cleaned it up), right into my stream of consciousness! What does that mean? Could it mean one thing to me, but another to you!!! It doesn’t matter, because I don’t really have time to think up something else, so I’m just going to fly with it!!! What does that darned beading do to you? Is it possible to reap relaxing benefits, while still making it pay for itself? Does it ever pay for itself? Do you need it to? Beading be darned is an interesting term, but it certainly doesn’t clean up the workroom, does it? Nor does it organize your beads!! 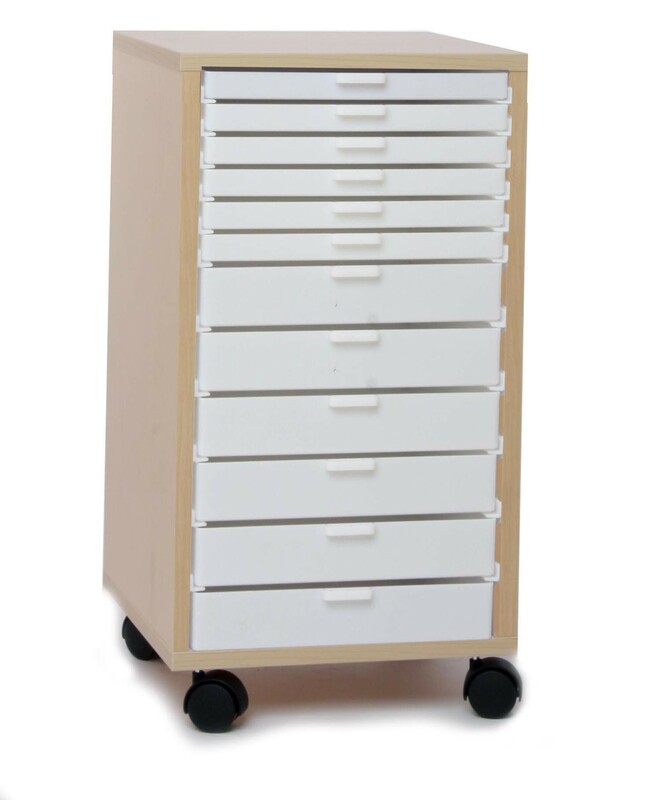 I don’t know about you, but I’m still searching for the perfect storage solution. Is there a perfect solution? I don’t know!!! 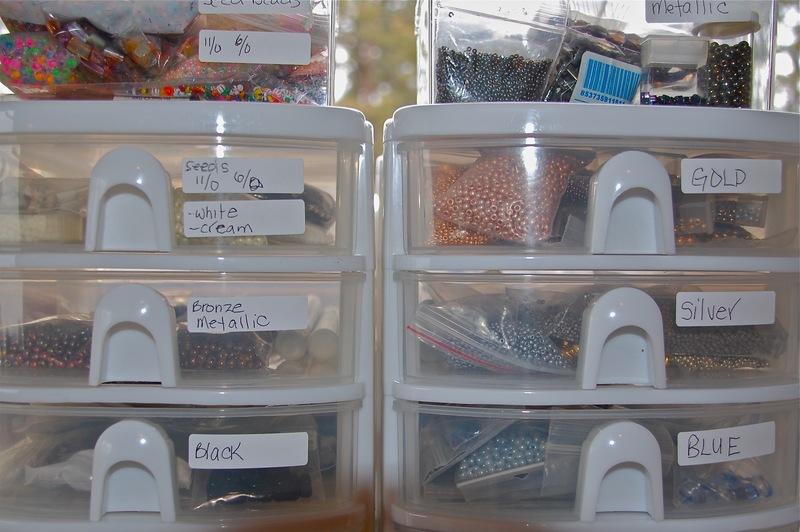 When you’re first getting into beading, you look around, then find the perfect answer to all your storage problems. You think!!! However, many more bags, tubes, and strings of beads later, you realize that storage relief is a fleeting, temporary thing!!! Like everything else in life, there’s a sliding scale involved! The more beads you buy, the more space you need, and before you know, it’s time to search out that new, and improved solution. Storage is not cheap, but neither are your beads!! Don’t you think that they deserve something nice? 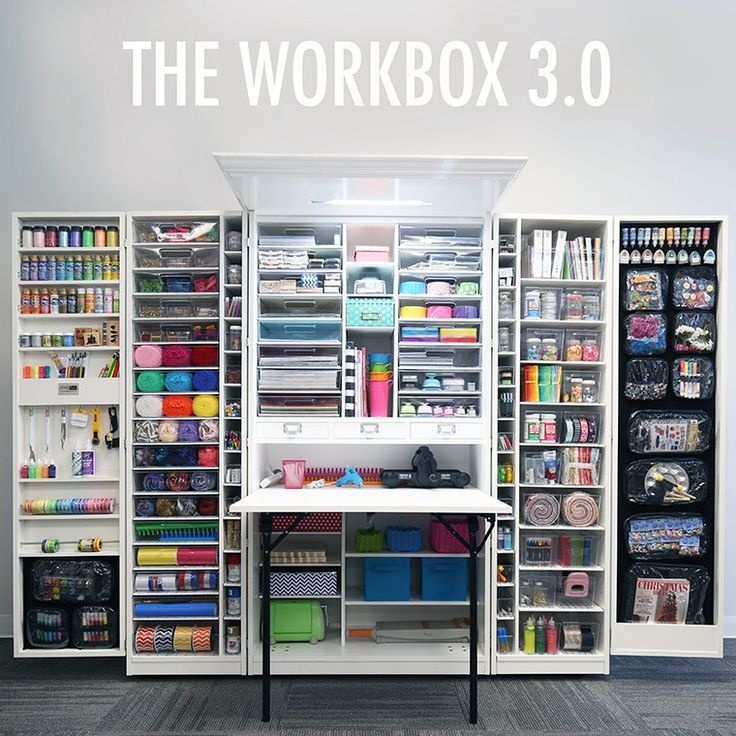 Besides, storage is very personal, and there is no forever solution! There’s only a solution for right now! This site discusses some of the different options. Is there a cure for this? Do your beads bring you joy? Are your stash beads, more valuable to you than new ones? Have you managed to keep the total cost of them, away from your significant other? Do you give a hoot about any of that? I like what I buy, and I buy what I like! I’m firmly in the “ooh shiny” camp, and can be easily tempted by a pretty pile of beads (darn that Dwyn, and her weekly updates)!!! 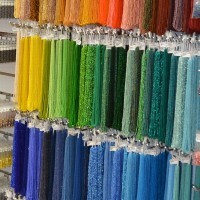 I need seedbeads, like I need a hole in my head, but there’s always that one colour, shape, or size that I need right now! Confusing, isn’t it? 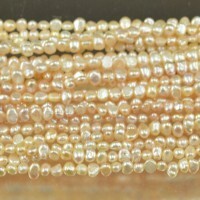 I also need pearls, and stones, yet for some reason, I never seem to have the right findings (or able to find, the right findings) to make them into something, so back into the stash they go! A conundrum, I say! So, now I need a bead fairy, a clean-up fairy, and a storage fairy, but I’m really, really relaxed, and somewhat poorer! Beading is good for you, and I know that, because the ladies (and one gentleman), at BeadFX, are always telling me so!!! Shhh, I’m incognito in this blog post, so please don’t tell anybody that I’m one of those ladies! 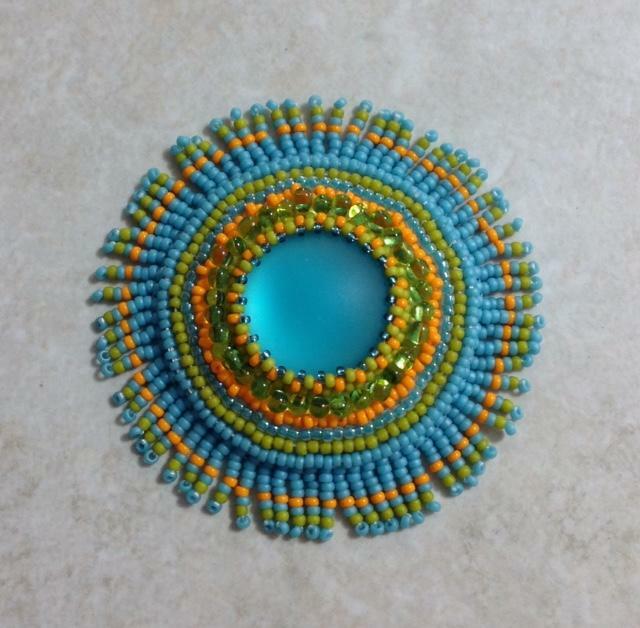 Beading be darned, but very necessary during these drab days of winter! Pamper yourself, buy more beads, and get out of the house (or sit at your computer in your p.j.’s)! 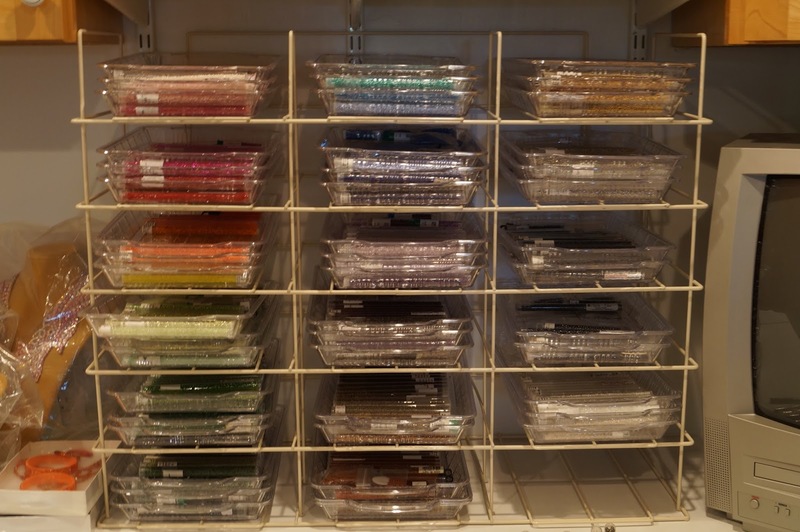 Don’t worry about storage issues, just bead! 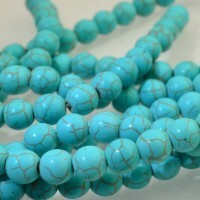 PS – We also have some very therapeutic, and bead enabling classes, so don’t forget to check those out as well! Winter doldrums begone!!! Here’s a new sample for Sunday’s, Bezelling a Cabochon 101 class. Isn’t it bright and happy?